Comfort plus construction times design equals the Equation Bar stool by Zuo Modern. 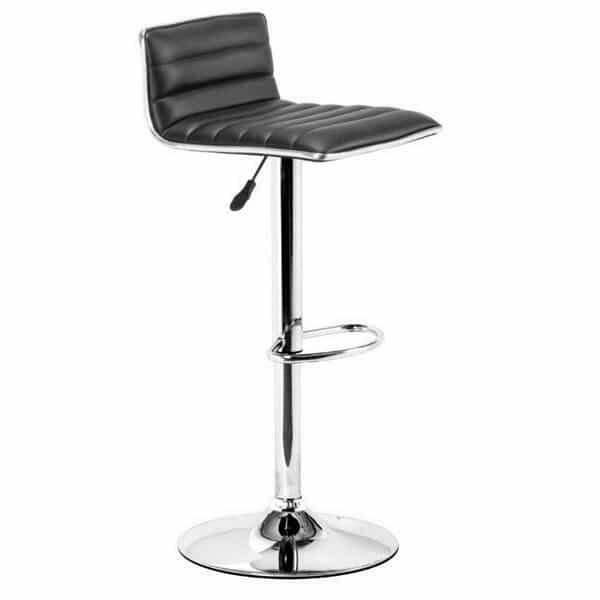 Ultra-fresh and ultra-stylish, the Equation Bar stool offers a chrome plated steel frame with an extra thick padded seat, featuring easy to maintain black leatherette upholstery. The padded seat and convenient footrest will provide a splendid place to socialize and relax. The Equation Bar stool by Zuo Modern features a 360 degree swivel and comes with hydraulics to allow height adjustment.